Roots takes our relationship with all our customers seriously, and this includes how we handle your personal information. Roots is committed to meeting the requirements of all relevant North American laws regarding privacy. This Policy sets out the ways we collect, use and share your personal information. 3. How do we use information about you? 4. With whom does Roots share your personal information? 9. What do we do to safeguard personal information? 11. How do we retain your personal information? any other correspondence with us. Personal information is primarily collected directly from you, such as information voluntarily provided to us through our website, mobile applications, social media channels or in store, and other means of communication. We may also collect personal information about you from your use of other Roots websites, social media networks (Facebook, Instagram, Pinterest, Twitter, YouTube, Yelp, Snapchat and Google) you participate in. When you sign up to participate in a contest on We may also obtain personal information from public sources, third party service providers, individuals who have indicated you have agreed for them to provide your personal information, government, tax or law enforcement agencies and other third parties. For example, if you are on another website and you opt-in to receive information from Roots, that website may submit to us your email address and other information about you so that we may contact you as requested. You may also choose to participate in a third party application or feature (such as one of our Facebook or Twitter applications or a similar application or feature on a third party website) through which you allow us to collect (or the third party to share) information about you, such as details of your friends/connections, "likes", comments you have shared, groups and location. In addition, we may receive information about you if other users of a third party website give us access to their profiles and your personal information is accessible through your friends'/connections´ web page, profile page, or similar page on a Social Media Channel or other third party website or interactive service. We may supplement the information we collect about you directly with the information we receive from third parties in order to enhance our ability to serve you, to tailor our content to you and send you details of promotions and/or offers which we believe may be of interest to you. We sometimes receive personal information about other individuals from customers who wish to send our products as gifts. In these circumstances, we will use and store that personal information for the purpose of completing the customer’s order. The Website is not intended for children under the age of 13 and Roots does not knowingly collect personal information from children in this age group. Roots will use your personal information for the purposes described in this policy or explained to you at the time it is collected. If we want to use your personal information for new or additional purposes, we will provide you with notice of these purposes and give you an opportunity to provide or withdraw your consent. where necessary as part of any restructuring of Roots or sale of our business or assets. We may also use your personal information for other business purposes including management analysis, audit, forecasting, business planning and transactions, ensuring our compliance with applicable laws, regulatory requirements, and dealing with legal claims and related administrative activities and related records retention requirements. We may also use your personal information as required or permitted by law enforcement, other government agency requests or court orders. We may anonymise your personal information and use it as part of aggregated non personal information for research, statistical and other purposes (such as improving our website, products and services) or measuring the effectiveness of our advertising. In addition, we may hire service providers to perform services on our behalf, such as such as advertising and marketing, software, couriers and payment services. These service providers may use your personal information for the purposes set out in this Policy including, for example, to complete your order or enable offers, advertising or other promotional activity about our products and services to be provided to you, or to provide you with aftercare services. We will provide these service providers with only the information necessary for them to provide the services to Roots. Roots prohibits service providers from using or disclosing personal information for purposes other than to facilitate and carry out those services. We will strive to protect personal information disclosed to them by contractual agreements requiring that they adhere to applicable privacy laws, confidentiality and security procedures and protections that are, at a minimum, equivalent to those employed by Roots. other entities (including actual or prospective buyers and our affiliates) in the event that Roots is involved in a bankruptcy, merger, reorganization or sale of any of its businesses and/or assets. It is worth noting that the social media networks who may provide advertising about our products and services to you may also process some of your personal information in their own capacity (for example when carrying out their own targeted advertising). Roots is not responsible for the processing of your personal information by any social media networks, when acting in their own capacity and not as a service provider to Roots. Therefore, please refer to the privacy policies of the relevant Social Media Channels for further details on how your personal information will be used by them. From time to time, Roots will send you special offers and announcements by email, post, telephone, text message, through social media networks, or other means. You can unsubscribe from receiving these offers at any time by clicking on the Unsubscribe link in the message you’ve received or contacting onlineservice@roots.com. If you have asked us to stop sending marketing offers via e-mail or text message and this hasn't happened, it may be because the email address or phone number to which we are sending them is not the same as the address or number you sent your request from. Please check the address we are using and include this information in your request. The easiest way to do this is to return to us the whole of the unwanted email. If you still experience problems please contact the Roots Privacy Office. You may choose to withdraw your consent to the collection, use and disclosure of your personal information at any time, unless legal or contractual reasons prevent you from doing so. However, if you withdraw your consent, we may be unable to offer or provide you with certain goods and services. If you would like to withdraw your consent or modify your preferences, please contact the Roots Privacy Office. We have instituted safeguards to check that our internal procedures meet our stated policies. We also use all efforts reasonably necessary to be sure that our service providers agree to protect personal information that they must access in order to provide those services. Internally, we limit access to personal information about you to only those employees who need that information to provide products or services to you or in order to do their jobs. Where we have given you (or where you have chosen) a password which enables you to access certain parts of our website, you are responsible for keeping this password confidential. We ask you not to share a password with anyone, not to reuse passwords for different accounts, and to notify us if you believe your password has been compromised. Unfortunately, the transmission of information via the internet is not completely secure. Although we will do our best to protect your personal information, we cannot guarantee the security of your personal information transmitted to our website and/or social medial channels. Any transmission is at your own risk. Once we have received your personal information, we will use strict procedures and security features to try to prevent unauthorised access. You agree that we are not liable to you in any way for removing, retaining, or failing to remove or retain any of your information or content and, to the fullest extent permitted by law, you waive all claims against us and release us from all liability in connection with any of our acts or omissions in regard to your information and content. We may offer links to third party websites. However, we are not responsible for the content or information collection policies of third party websites. If you visit a third party website, we advise you to review their privacy and other policies. We do not accept any responsibility or liability for these policies. Please check these policies before you submit any personal information to the third party websites. We respect your right to access and correct your personal information. If you wish to update your personal information, please contact the Roots Privacy Office. If you are a California resident and have an established business relationship with us, you can request a notice disclosing the categories of personal information we have shared with third parties, for the third parties’ direct marketing purposes, during the preceding calendar year. To request a notice, please submit your request to Roots, Attn: Roots Privacy Office, 1400 Castlefield Avenue, Toronto ON M6B 4C4 Canada. Please allow 30 days for a response. If you are a California resident under 18 years old and you have registered for an account through the Website, you can request that we remove content or information that you have posted to our Websites. Note that fulfilment of the request may not ensure complete or comprehensive removal (e.g., if the content or information has been reposted by another user). To request removal of content or information, please email privacy@roots.com or call +1 416 781 3574. If you have any questions, wish to access, update or delete information, wish to opt out of receiving future communications, or have questions about this Policy, please contact us online at privacy@roots.com, or at Roots Canada 1400 Castlefield Avenue, Toronto, ON M6B 4C4 attn: Roots Privacy Office. Roots Corporation takes our relationship with all our customers seriously, and this includes how we handle your personal information. Roots is committed to meeting the requirements of all relevant European laws regarding privacy. This Policy sets out the ways we collect, use and share your personal information. If you would prefer your personal data was not used in the manner described in this policy, you should not use our websites or services. 10. What do we do to safeguard personal information? 12. How do we retain your personal information? other personal information (such as suggestions, inquiries, feedback, photographs, messages or other materials) ("User Content") that you post, e-mail, share, reproduce or otherwise make available to us. This is personal information which you provide to us. Personal information is primarily collected directly from you, such as information provided to us through our website, mobile applications, social media channels or in store, and other means of communication. We may also collect personal information about you in the following ways. Information from other Roots’ websites and social media channels. From your use of other Roots websites, social media networks (Facebook, Instagram, Pinterest, Twitter, YouTube, Yelp, Snapchat and Google) you participate in; For example, you may also choose to participate in a third party application or feature (such as one of our Facebook or Twitter applications or a similar application or feature on a third party website) through which you allow us to collect (or the third party to share) information about you, such as details of your friends/connections, "likes", comments you have shared, groups and location. In addition, we may receive information about you if other users of a third party website give us access to their profiles and your personal information is accessible through your friends'/connections´ web page, profile page, or similar page on a Social Media Channel or other third party website or interactive service. Government or regulators. From government, tax or law enforcement agencies and , where applicable, fraud detection agencies. Referrals. From individuals who have indicated you have agreed for them to provide your personal information. For example, if you are on another website and you opt-in to receive information from Roots, that website may submit to us your email address and other information about you so that we may contact you as requested. From other customers. We sometimes receive personal information about other individuals from customers who wish to send our products as gifts. In these circumstances, we will use and store that personal information for the purpose of completing the customer’s order. We will indicate where any personal information we have requested is mandatory or optional. We will also explain the consequences should you decide not to provide information which we have indicated is mandatory. In some cases, this may mean we are unable to provide you with a certain service or product. Consent: For example, where you have provided your consent to receive certain marketing from us. You can withdraw your consent at any time, including by clicking on the "unsubscribe" link at the bottom of any marketing email we send you. Our legitimate business interests: Where it is necessary for us to understand our customers, promote our services and operate effectively as a premium manufacturer and retailer provided in each case that this is done in a legitimate way which does not unduly affect your privacy and other rights. For example, we will rely on this legal basis when we conduct certain market analysis to understand our customers in sufficient detail so we can create new services and improve the profile of our brand. Performance of a contract with you: For example, where you have purchased goods from our website and we need to use your contact details and payment information in order to process your order and send the goods to you. 5. With whom does Roots share your personal information? Our service providers. We may share your personal information with third party companies who are our suppliers, business partners and service providers (such as advertising and marketing agencies, social media agencies and platforms, software providers and service providers such as couriers, customer services and payment service providers) for the purposes set out in this Policy including for example to complete your order, to facilitate your experience of our websites, enable offers, advertising or other promotional activity or materials about our products and services to be provided to you, to operate recognition or reward programmes, respond to your queries and / or to provide you with certain services such as aftercare services. We will provide these service providers with only the information necessary for them to provide the services to Roots. Roots prohibits service providers from using or disclosing personal information for purposes other than to facilitate and carry out those services. We will strive to protect personal information disclosed to them by contractual agreements requiring that they adhere to applicable privacy laws, confidentiality and security procedures and protections that are, at a minimum, equivalent to those employed by Roots. SiteID Stores user preferred site, and redirects user to preferred store as long as this cookie is present Ranges from session to 7 days. The website is operated in Canada and the United States. If you are located in the European Economic Area (the “EEA”), you should be aware that we will collect, process, and maintain your information in Canada and the United States. Whenever we transfer information as described in the paragraph above, we will take steps which are reasonably necessary to ensure that adequate safeguards are in place to protect your personal information and to make sure it is treated securely and in accordance with this Policy. In these cases, we rely on approved data transfer mechanisms (such as the EU "Standard Contractual Clauses" and the EU-US "Privacy Shield") to ensure your information is subject to adequate safeguards in the recipient country. Where we have collected the personal information based on your consent and we have no other lawful basis to continue with that processing, if you subsequently withdraw your consent then we will delete your personal information. It is important that the personal data we hold about you is accurate and current. Please keep us informed if your personal data changes during your relationship with us. If you wish to update your personal information, please contact the Roots Privacy Office. PLEASE READ THE FOLLOWING CAREFULLY AS IT AFFECTS YOUR LEGAL RIGHTS. THESE TERMS CONTAIN AN AGREEMENT TO ARBITRATE THAT REQUIRES THE USE OF ARBITRATION ON AN INDIVIDUAL BASIS TO RESOLVE DISPUTES RATHER THAN JURY OR ANY OTHER COURT PROCEEDINGS, OR CLASS ACTIONS OF ANY KIND. These terms (the “Terms”) govern your use of Roots.com internationally (the “Website”) and any order or purchase you make on the Website. By using the Website or proceeding to place an order, you agree to be bound by these terms. If you do not agree to these Terms, you must immediately cease using the Website and do not proceed with your order. Please print and retain a copy of these terms for your records. This Website is operated by Roots Corporation (“Roots”). This Website and the items offered for sale on and through this Website are applicable to all of our international customers. Where the Terms differ according to a specific national law the Terms will direct you as such. Roots may modify these Terms from time to time. Any use of or access to the Website after such modification will indicate your agreement to the modified Terms. You should review this page frequently. You may not: post, upload, publish, reproduce, transmit, or otherwise distribute information or other material on or through the Website that: (a) constitutes or encourages conduct that would constitute a criminal offense or give rise to civil liability; (b) is protected by copyright, or other intellectual property right, or derivative works with respect thereto, without obtaining permission of the copyright owner or right holder; or (c) uses this site in a manner which is contrary to law, including posting or transmitting any information or software that contains a virus, cancelbot, trojan horse, worm or other harmful or disruptive component. All materials published or otherwise accessible through this Website including, but not limited to, news articles, text, photographs, images, illustrations, audio clips, video clips, software, and other information and materials (the "Content") are protected by copyright and other intellectual property rights, and are owned or controlled by Roots and any others who may own copyright or the party credited as the provider of the Content. You agree to abide by all copyright notices, information, and restrictions contained in the Content. The trademarks, logos, and service marks, including but not limited to, "Roots", "Roots Canada", "Roots.com" and other names, logos, and icons identifying the products and services (collectively the "Trademarks") displayed on the Website are registered and unregistered Trademarks of Roots and others. Nothing contained on the Website grants, by implication, estoppel, or otherwise, any license or right to use any Trademark displayed on the Website without the written permission of Roots or such third party that may own the Trademark. Your use of any Trademarks or Content is strictly prohibited. You are also advised that Roots will aggressively enforce its intellectual property rights to the fullest extent of the law, including the seeking of criminal prosecution. Roots reserves the right, at its sole discretion, to accept or reject any order prior to shipment of the order. You will receive online confirmation that your order has been received by Roots after you place your order on the Website. This online confirmation that your order has been received by Roots does not constitute acceptance of your order. Rather, shipment of each product in your order will constitute acceptance of your order of each of such product. You will be notified of shipment via an automatic e-mail to the e-mail address associated with your account. In some instances, you may have the opportunity to pre-order products on the Website before they are available for sale. When you place a pre-order or any order, your credit card will be authorized, but it will not be charged until the item is shipped to you. If Roots changes its price between when you pre-order and when your item ships, you will be charged the lower of the two prices. Taxes and shipping costs will apply as of the date of shipping. Delivery will occur after the release date, which is set by the manufacturer or distributor, and is subject to change. Quantities of items available on pre-order or otherwise through the Website may be limited. Problems identified by Roots’ credit and fraud avoidance department. Roots may also require additional verifications or information before accepting any order. Roots will contact you if all or any portion of your order is rejected after your order has been placed but before it is shipped by Roots or if additional information is required to accept your order. The purchase of products on the Website is subject to availability. If at any time any products are no longer available, Roots will have no obligation to fulfill your order for those products and you will have no obligation to pay Roots for those unfulfilled products. Roots will use reasonable efforts to notify you via your email address if any product ordered becomes unavailable. 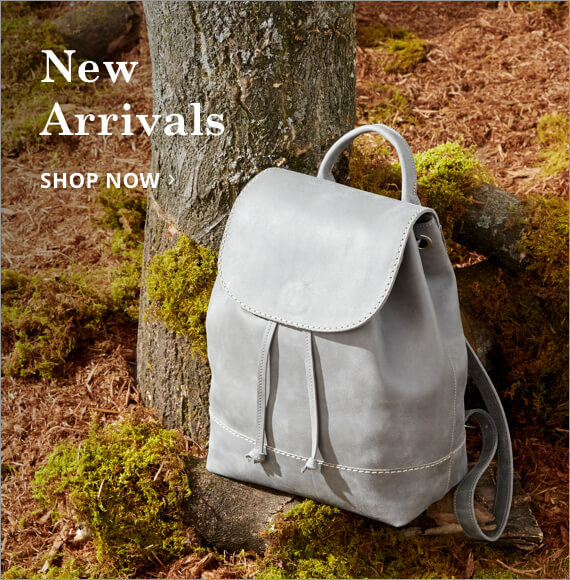 While the Website attempts to be accurate in its product descriptions, Roots does not represent or warrant that product descriptions or other Content on this Website is accurate, complete, reliable, current, or error-free. If you find that a product you purchase is not as described, your sole remedy is to return it in accordance with Roots’ Exchange and Return Policy. By confirming your purchase at the end of the checkout process, you agree to pay Roots the amount set out as the Order Total in the Confirm Order and Shipping Address section of the checkout process, subject to adjustment as described herein (the “Purchase Price”). 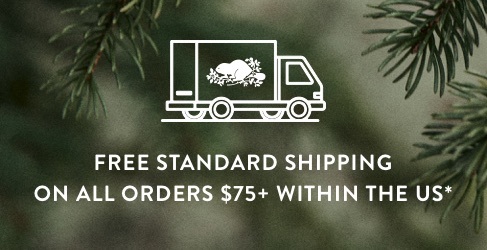 The Order Total on roots.com Canada are in Canadian dollars and the Order Total on roots.com USA are quoted in United States dollars and includes shipping and handling fees, any applicable additional fees, and an estimate of all applicable taxes. 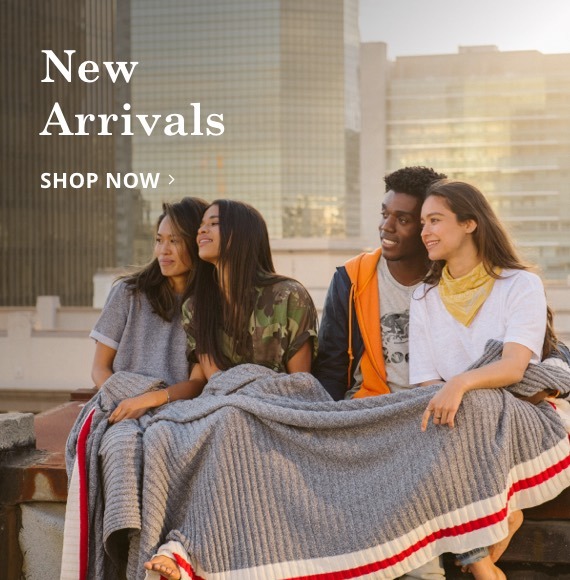 The Purchase Price will be charged in Canadian or United States dollars as applicable, to your selected payment method by Roots in one or more charges as each product is shipped. Please note that actual sales taxes are calculated on items as they ship, and therefore, due to mathematical rounding, there may be a slight adjustment to actual sales taxes owed and included in the Purchase Price from those estimated in your Order Total. In the event that a product is listed at an incorrect price due to an error in pricing, Roots will have the right, at Roots’ sole discretion, to reject or cancel any orders placed for that product. In the event that a product is mispriced, Roots may, at its discretion, either contact you for instructions or cancel your order and notify you of such cancellation. 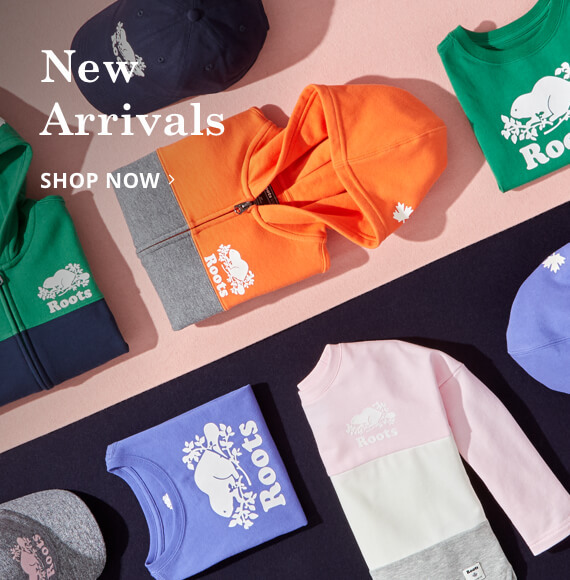 For your convenience, the Website lists some products that are carried in stores, however, please note that products and prices available for online purchase on the Website may not be the same as those available at Roots stores. Store pricing and offers will sometimes differ from online prices and offers. Unless otherwise stated, all offers available on the Website refer to prices offered on the Website only. Roots stores do not honor prices offered on the Website. Roots reserves the right, at its sole discretion, to limit the quantity of items purchased per person, per household or per order. These restrictions may be applicable to orders placed by the same account, the same credit card, and also to orders that use the same billing and/or shipping address. We will provide notification to you should such limits be applied. Roots also reserves the right, at its sole discretion, to prohibit sales to dealers or resellers. For purposes of these Terms, reselling is defined as purchasing or intending to purchase any product(s) from the Website for the purpose of engaging in a commercial sale of that same product(s) to a third party. You may pay for your purchase using any method identified in the checkout process on the Website and you authorize Roots to charge the applicable payment method for the Purchase Price. You represent and warrant that you are the authorized owner of the applicable payment account. If your payment is rejected by the issuer of the payment method, your order will not be shipped and Roots will have no obligation to fulfill your order. All billing and registration information provided by you to Roots must be truthful and accurate. Providing any untruthful or inaccurate information constitutes a breach of these Terms. Your order will be shipped by Roots’ third party carrier. Roots is not responsible for any loss of the products following delivery of the products to its third party carrier. The products you purchased may be shipped to you in separate packages even if purchased in a single order. If your products are shipped separately, the Purchase Price for your items, which includes the shipping and handling fees, will be charged to your selected payment method by Roots in one or more charges, as each product is shipped. You may have certain legal rights to cancel your order under applicable consumer protection laws and Roots will respect all such applicable laws. In addition to these rights, returns of product purchased on the Website are governed by Roots’ Exchange and Return Policy. Please review the applicable Exchange and Return Policy and print and retain a copy for your records. You are responsible for the security of your account and password and may not share it with anyone else. If you believe your password or account credentials have been compromised, you must notify Roots immediately. Roots shall not be liable for any damages and expenses arising out of or relating to any unauthorized use of such account or password. You acknowledge that goods sold on the Website are subject to the customs and export control laws and regulations of the country in which the products are manufactured and/or received, and you agree to comply with all applicable laws. Citizens of the United Stated agree, represent, and warrant that no Content or products will be accessed from, downloaded in, released in, carried to, transferred to, transshipped through, exported to, or re-exported (collectively “transferred”) to any territory (or national resident thereof), person, entity, or organization to which such Content or products could not be transferred directly from the United States or by a U.S. person without a license, including without limitation to any person on the U.S. Treasury Department’s List of Specially Designated Nationals or the U.S. Department of Commerce’s Denied Persons List or Entity List. If you think that any Content on the Site has been copied in a manner that constitutes copyright infringement, you may notify our copyright agent, who can be reached via electronic mail (preferred) at customer_service@roots.com or via U.S. mail at 1400 Castlefield Avenue, Toronto, ON, M6B 4C4 Canada. The written notification must include substantially the following: (i) a physical or electronic signature of a person authorized to act on behalf of the owner of an exclusive copyright that is allegedly infringed; (ii) a description of the copyrighted work you claim has been infringed; (iii) a description of where the material you claim is infringing is located on the Website or other information sufficient to permit Roots to locate the material; (iv) your address, telephone number, email address and/or other information reasonably sufficient to permit Roots to contact you; (v) a statement by you that you have a good faith belief that the disputed use is not authorized by the copyright owner, its agent, or the law; and (vi) a statement by you that the above information in your notice is accurate and, under penalty of perjury, that you are the copyright owner or are otherwise authorized to act on behalf of the owner of an exclusive right that is allegedly infringed. After receiving a notification, Roots will process and investigate the notification and will take appropriate actions under the Digital Millennium Copyright Act (“DMCA”), or other copyright laws applicable in your jurisdiction, will act expeditiously to remove or disable access to any material claimed to be infringing or claimed to be the subject of infringing activity, and will act expeditiously to remove or disable access to any reference or link to material or activity that is claimed to be infringing. Roots will promptly take reasonable steps to notify the person that is associated as the owner or rights holder that it has removed or disabled access to such material. If you are subject to a notification, you may provide us with a counter notification by providing our designated copyright agent substantially the following information in writing: (1) your physical or electronic signature; (2) identification of the material that has been removed or to which access has been disabled and the location at which the material appeared before it was removed or access to it was disabled; (3) a statement under penalty of perjury that you have a good faith belief that the material was removed or disabled as a result of mistake or misidentification of the material to be removed or disabled; and (4) your name, address, and telephone number, and a statement that you consent to the jurisdiction of Federal District Court for the judicial district in which your address is located, or if your address is outside of the United States, for any judicial district in which Roots may be found and that you will accept service of process from the person who provided the initial notification of alleged infringement. Upon receipt of a proper counter notification under the DMCA (as set forth above), or other laws where applicable, Roots will promptly provide the person who provided the initial notification of claimed infringement with a copy of the counter notification and inform that person that it will replace the removed material or cease disabling access to it in ten (10) business days. Additionally, Roots will replace the removed material and cease disabling access to it not less than ten (10), nor more than fourteen (14), business days following receipt of the counter notice, unless Roots' designated copyright agent first receives notice from the person who submitted the initial notification that such person has filed an action seeking a court order to restrain you from engaging in infringing activity relating to the material on the Website. The Website may offer access to third party websites through links on the Website (each, a “Third Party Website”). Third Party Websites are governed by their own terms of service and privacy policies. Roots has no control over, and assumes no responsibility for, the content, privacy policies or practices of any Third Party Website. You expressly release Roots from any and all liability arising from your using any links provided on the Website and from your use of any Third Party Website. The Terms applicable to your order are the Terms in effect on the date that you place your order, as made available to you when you complete the checkout process. Roots may modify its Terms from time to time subject to applicable laws. Any such modification will apply to any order placed after the effective date of the modification. Therefore, each time you place an order with Roots you represent that you have accessed, read and accepted the Terms applicable to and governing that order. TO THE FULLEST EXTENT PERMITTED BY APPLICABLE LAWS, ROOTS PROVIDES THIS WEBSITE AND ALL CONTENT, PRODUCTS, AND SERVICES “AS IS” AND “AS AVAILABLE” AND DISCLAIMS ALL REPRESENTATIONS AND WARRANTIES OF ANY KIND, WHETHER EXPRESS OR IMPLIED, (INCLUDING, BUT NOT LIMITED TO, WARRANTIES OF MERCHANTABILITY, QUALITY, FITNESS FOR A PARTICULAR PURPOSE, AND NON-INFRINGEMENT) RELATING TO THIS WEBSITE, ANY CONTENT, PRODUCTS, OR SERVICES ACCESSED, OFFERED, PURCHASED, OR SOLD THROUGH THIS WEBSITE, OR THE USE, SUITABILITY, OR AVAILABILITY OF ANY CONTENT, PRODUCTS, OR SERVICES, OR ANY TRANSACTION CONDUCTED ON THIS WEBSITE, WHETHER ARISING FROM STATUTE, COURSE OF DEALING, USAGE OF TRADE OR OTHERWISE. ROOTS MAKES NO REPRESENTATIONS OR WARRANTIES THAT ANY ELECTRONIC COMMUNICATIONS SENT FROM ROOTS ARE FREE OF VIRUSES OR OTHER HARMFUL COMPONENTS. THIS SECTION DOES NOT LIMIT THE TERMS OF ANY PRODUCT WARRANTY OFFERED BY THE MANUFACTURER OF A PRODUCT THAT IS SOLD BY ROOTS TO YOU THROUGH THE WEBSITE. THE DISCLAIMERS IN THIS SECTION CONSTITUTE AN ESSENTIAL PART OF THESE TERMS. YOU ACKNOWLEDGE THAT, TO THE FULLEST EXTENT PROVIDED BY APPLICABLE LAW, YOUR USE OF THE WEBSITE IS AT YOUR SOLE RISK. TO THE FULLEST EXTENT PERMITTED BY APPLICABLE LAW, YOU ASSUME FULL RESPONSIBILITY FOR YOUR USE OF THE WEBSITE AND AGREE THAT ANY INFORMATION YOU SEND OR RECEIVE DURING YOUR USE OF THE WEBSITE MAY NOT BE SECURE AND MAY BE INTERCEPTED OR OTHERWISE ACCESSED BY UNAUTHORIZED PARTIES. YOU AGREE THAT, TO THE FULLEST EXTENT PERMITTED BY APPLICABLE LAW, NO ROOTS ENTITY IS RESPONSIBLE FOR ANY LOSS OR DAMAGE TO YOUR PROPERTY OR DATA THAT RESULTS FROM ANY CONTENT OR PRODUCTS YOU ACCESS, DOWNLOAD, OR RECEIVE FROM OR THROUGH THE WEBSITE. IN NO EVENT SHALL ROOTS BE LIABLE FOR ANY DIRECT, INDIRECT, INCIDENTAL, SPECIAL, EXEMPLARY, PUNITIVE OR CONSEQUENTIAL DAMAGES OF ANY NATURE (INCLUDING LOSS OF USE, LOSS OF DATA, LOSS OF PROFIT AND LOSS OF SAVINGS) INCLUDING FOR DAMAGES ARISING IN CONNECTION WITH OR RELATING IN ANY MANNER WHATSOEVER TO: (A) THIS WEBSITE; (B) ANY CONTENT, INFORMATION OR PRODUCTS ACCESSED, OFFERED, PURCHASED OR SOLD THROUGH THIS WEBSITE OR THEIR USE, SUITABILITY OR AVAILABILITY (INCLUDING THE INABILITY TO USE); (C) ANY TRANSACTION CONDUCTED ON THIS WEBSITE; AND (D) ANY UNAUTHORIZED ACCESS TO OR ALTERATION OF YOUR DATA. THE ABOVE EXCLUSION AND LIMITATION OF LIABILITY SHALL APPLY WHETHER OR NOT A CLAIM IS IN CONTRACT, TORT (INCLUDING NEGLIGENCE AND PRODUCT LIABILITY), STRICT LIABILITY, RESTITUTION, BREACH OF STATUTE OR ANY OTHER THEORY OF LAW AND EVEN IF ROOTS HAD BEEN ADVISED OR HAD REASONS TO KNOW OF THE POSSIBILITY OF SUCH DAMAGES. IN THIS SECTION, REFERENCE TO “ROOTS” MEANS ROOTS CORPORATION AND ITS AFFILIATES AND THEIR RESPECTIVE OFFICERS, DIRECTORS, EMPLOYEES, CONTRACTORS, MANDATORIES AND AGENTS. CERTAIN JURISDICTIONS DO NOT ALLOW THE EXCLUSIONS OF DAMAGES AS PROVIDED ABOVE. IF THESE LAWS APPLY TO YOU, SOME OF THE EXCLUSIONS REFERRED TO ABOVE MAY NOT APPLY TO YOU. THIS SECTION SHALL APPLY TO YOU TO THE FULLEST EXTENT PERMITTED BY APPLICABLE LAWS. IF YOU ARE DISSATISFIED WITH THE WEBSITE, ANY CONTENT, OR THESE TERMS, YOUR SOLE AND EXCLUSIVE REMEDY IS TO DISCONTINUE USING THE WEBSITE. IF THE EXCLUSIONS OR LIMITATIONS SET FORTH IN THIS SECTION, OR ANY PORTION THEREOF, ARE FOUND TO BE INVALID OR UNENFORCEABLE FOR ANY REASON, THEN THE AGGREGATE LIABILITY OF ROOTS FOR DAMAGES OF ANY NATURE SUFFERED BY YOU SHALL IN NO EVENT EXCEED THE PURCHASE PRICE OF YOUR TRANSACTION. You agree to indemnify and hold harmless, and, at Roots’ request, defend Roots, from any claims, damages, losses, liabilities, and all costs and expenses of defense, including but not limited to, lawyers' fees, resulting directly or indirectly from a claim (including without limitation, claims made by third parties for infringement of intellectual property rights) that arise in connection with (i) your use or misuse of the Website, any Content, Trademarks, or any products; (ii) your breach of these Terms; (iii) your violation of any law or the rights of a third party; or (iv) content you have uploaded to or entered on the Website. You agree to cooperate as fully as reasonably required in the defense of any claim. Roots reserves the right to assume the exclusive defense and control of any matter subject to indemnification by you for which you will remain responsible for indemnifying and holding harmless the Roots Parties. 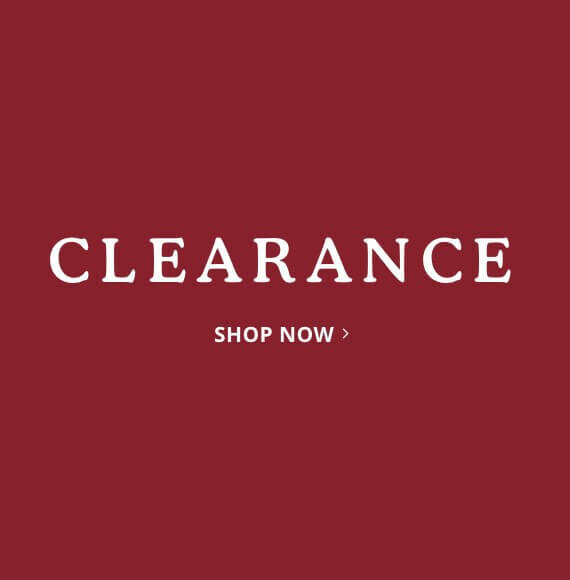 All claims, disputes or controversies arising out of or relating to these Terms, the Website, any Content, or the offer of, purchase of, sale of, or use of any product ("Claims") are subject to binding arbitration as set forth in this Section. This includes Claims based on contract, tort (including intentional tort), fraud, agency, your or our negligence, statutory or regulatory provisions, or any other sources of law; Claims made as counterclaims, cross-claims, third-party claims, interpleaders or otherwise; and Claims made independently or with other claims. As used in this Section, Roots includes its affiliates, and their respective officers, directors, employees, successors, agents, partners, contractors, and vendors. This Agreement shall be construed and governed in accordance with the laws of the Province of Ontario, and the federal laws of Canada applicable therein, regardless of the place or places of its physical execution and performance, and the parties hereto hereby attorn to the Courts of the Province of Ontario in respect of any dispute arising hereunder. REGARDLESS OF ANY STATUTE OR LAW TO THE CONTRARY, ANY CLAIM BY YOU MUST BE FILED WITHIN ONE (1) YEAR AFTER SUCH CLAIM AROSE OR BE FOREVER BARRED. YOU AND ROOTS ALSO AGREE THAT EACH MAY BRING CLAIMS AGAINST THE OTHER IN ARBITRATION ONLY IN YOUR OR ROOTS’ INDIVIDUAL CAPACITY AND IN SO DOING YOU AND ROOTS HEREBY WAIVE THE RIGHT TO A TRIAL BY JURY, TO ASSERT OR PARTICIPATE IN A CLASS ACTION LAWSUIT OR CLASS ACTION ARBITRATION, TO ASSERT OR PARTICIPATE IN A PRIVATE ATTORNEY GENERAL LAWSUIT OR PRIVATE ATTORNEY GENERAL ARBITRATION, AND TO ASSERT OR PARTICIPATE IN ANY JOINT OR CONSOLIDATED LAWSUIT OR JOINT OR CONSOLIDATED ARBITRATION OF ANY KIND. HOWEVER, ROOTS WILL NOT INVOKE ITS RIGHT TO ARBITRATE ANY INDIVIDUAL CLAIM THAT YOU BRING IN SMALL CLAIMS COURT, AS LONG AS IT IS BROUGHT AND MAINTAINED AS AN INDIVIDUAL CLAIM. SOME JURISDICTIONS DO NOT ALLOW THE LIMITATION ON PARTICIPATION IN CLASS ACTION LAWSUITS. IF THESE LAWS APPLY TO YOU, SOME OR ALL OF THE ABOVE DISCLAIMERS MAY NOT APPLY TO YOU. Notwithstanding the arbitration provision above, Roots may avail itself of the full range of remedies available, either individually or together, in connection with any violation of its intellectual property rights, including, but not limited to, temporary and permanent injunctive relief, and actions for damages in either state or federal courts, as applicable. If such judicial proceedings are instituted, the parties agree that such proceedings will not be stayed or delayed pending the outcome of any arbitration proceeding under these Terms. In such judicial proceedings, the prevailing party shall be entitled to an award of attorneys' fees and litigation costs, including those at the trial court and all appellate court levels, against the losing party. Any legal issues arising in connection with the Website, including any Claims under Section 12 above, shall be governed by and construed in accordance with the laws of the Province of Ontario, without giving effect to any principles of conflicts of law of that or any other jurisdiction. The application of the United Nations Convention on Contracts for the International Sale of Goods is expressly excluded. Providing the Website and the products for sale through the Website is not intended to subject Roots to the laws or jurisdiction of any state, country or territory other than the Commonwealth of Massachusetts, USA. Roots does not represent or warrant that the Website or any part thereof is appropriate or available for use in any particular jurisdiction other than the United States. In choosing to access the Website, you do so on your own initiative and at your own risk, and you are responsible for complying with all local laws, rules and regulations. Roots may limit the Website’s availability, in whole or in part, to any person, geographic area or jurisdiction we choose, at any time and in our sole discretion. Notice for California Residents. 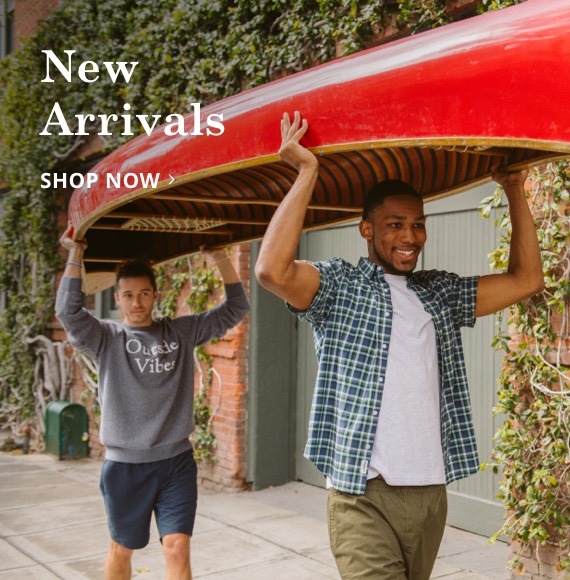 Under California Civil Code Section 1789.3, California users are entitled to the following consumer rights notice: If you have a question or complaint regarding the Site, please send an email to customerservice@roots.com. You may also contact us by writing to 1400 Castlefield Avenue, Toronto, ON M6B 4C4 or by calling us at(416) 781 3574 . California residents may reach the Consumer Assistance Unit of the California Department of Consumer Affairs by mail at 1625 North Market Blvd., Sacramento, CA 95834, or by telephone at (916) 445-1254 or (800) 952-5210. You consent to receive notices and other communications relating to these Terms by Roots posting notices on the Website, sending you an email at the email address provided when you make a purchase or listed in your profile in your account, or mailing a notice to you at your billing address. You agree that a printed version of these Terms and/or any notice given in electronic form shall be admissible in judicial or administrative proceedings based upon or relating to these Terms to the same extent and subject to the same conditions as other business documents and records originally generated and maintained in printed form. These Terms constitute the entire agreement between you and Roots with respect to your use of this Website and any purchase made by you on the Website and supersede all previous and contemporaneous agreements, understandings and representations relating thereto. If any provision of these Terms is held to be unenforceable for any reason, such provision shall be reformed only to the extent necessary to make it enforceable and the other terms of these Terms shall remain in full force and effect. The delay or failure of Roots to act with respect to a breach of these Terms by you or others does not constitute a waiver and shall not limit Roots’ rights with respect to such breach or any subsequent breaches. Roots shall not be liable for any delay or failure to perform any of its obligations under these Terms if such delay or failure is due to causes beyond its control including, without limitation, weather-related and other uncontrollable shipping delays. You may not assign these Terms to any third party without the prior written consent of Roots. These Terms will be binding upon and will enure to the benefit of (i) you and your heir, executor, administrator and other legal representatives; and (ii) Roots and it successors and assigns. It is the express wish of the parties that these Terms and all related documents be drawn up in English and only the English version shall be binding on you and Roots. Les parties conviennent expressément que ces Conditions ainsi que tous les documents connexes soient rédigés en anglais et que seule la version anglaise lie les parties. Roots Corporation (“Roots”) reaches out to social media users to seek their permission to feature our favorite content on our various sites, social channels, and promotional materials. You are reading this because Roots has requested your permission to use your social media content in this way. Roots engages a limited number of service providers to facilitate the collection and transmission to the Roots website (www.roots.com) (the “Website”), social media channels and promotional materials, including photos, text, graphics, audio, video, location information, comments and other materials from social media sites, for use by Roots in connection with its business, including Roots', marketing, promotional, advertising and other consumer-related activities. You hereby grant to Roots and its related companies, agents, licensees, sublicensees, contractors, successors, legal representatives, assigns, and third-party service providers, and their respective retail partners, marketing or public relations agencies, and other affiliates (the “Licensed Parties”) a worldwide, perpetual, irrevocable, royalty-free, fully-paid, non-exclusive, transferable, sublicensable right to use your User Content in any manner to be determined in the Licensed Parties’ sole discretion, including but not limited to on webpages and social media pages operated by the Licensed Parties, in promotional e-mails and advertisements, and in any and all other marketing, promotional and advertising initiatives, and in any media now or hereafter known. The Licensed Parties may use, display, reproduce, distribute, transmit, create derivative works from, combine with other materials, alter and/or edit your User Content in any manner in their sole discretion, with no obligation to you whatsoever. You hereby agree and represent and warrant that (i) you are solely responsible for your User Content, (ii) you own all rights in and to your User Content and/or have obtained appropriate rights and permissions from any and all other persons and/or entities who own, manage or otherwise claim any rights with respect to such User Content, (iii) you are not a minor, (iv) the Licensed Parties’ use of your User Content as described herein will not violate the rights, including but not limited to copyright, trademark, patent, trade secret, privacy, publicity, moral, proprietary or other rights, of any third party, or any law, rule or regulation, and (v) the User Content is not libellous, defamatory, obscene, pornographic, abusive, indecent, threatening, harassing, hateful, or offensive or otherwise unlawful. The Licensed Parties reserve the right to remove any User Content from the Website, social media and promotional materials. If you believe any content, including User Content, residing on the Website, social media or promotional materials infringes any person’s or entity’s copyright rights, please refer to the Terms. The Website may be protected by copyright, trademark and other intellectual property laws. You acknowledge and agree that you do not acquire any ownership or other rights in proprietary information and materials of Roots by authorizing use of your User Content or otherwise using or accessing the Website.